Size: 19.00 x 14.48 mm. This is a special gem! 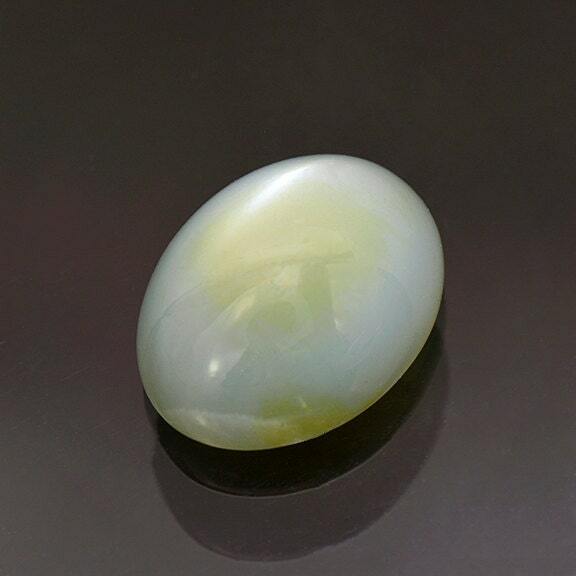 This is a blue and green bi-color Moonstone Cat’s Eye cabochon. 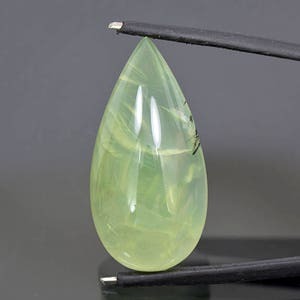 The stone is misty throughout and translucent. 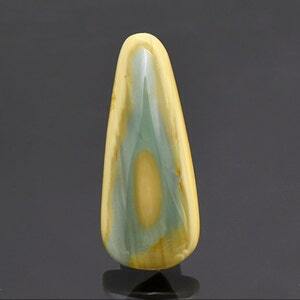 The chatoyant eye rolls across the entire surface of the cabochon and is displayed beautifully. The eye itself is not sharp, but the chatoyancy is bright and creates a unique effect. This phenomenon is unique in Feldspar and is called adularescence. 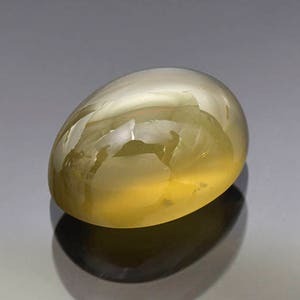 True Moonstone is Orthoclase, but this Indian Moonstone is Labradorite or sometimes Sanidine. Adularescent moonstone was once called “Adularia.” The name originated from a city in Switzerland, Mt. 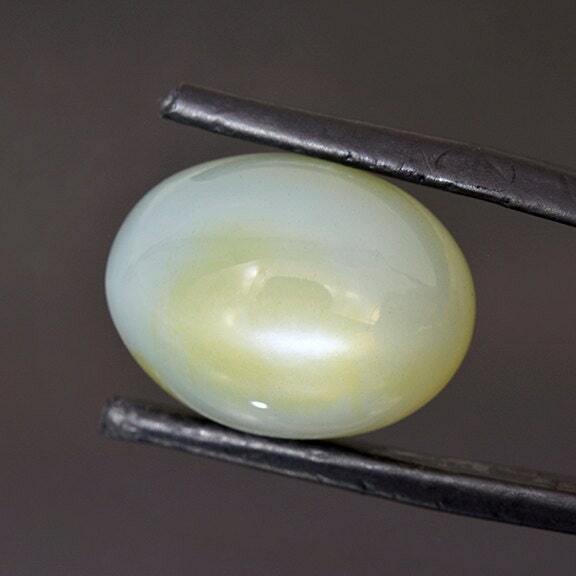 Adular (now St. Gotthard), that was one of the first sources of fine-quality moonstone. 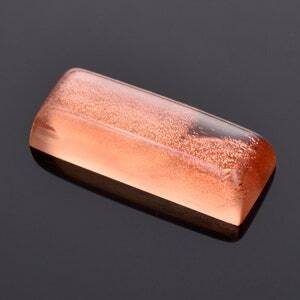 This stone will look beautiful if set into jewelry, and is sturdy enough to go into a ring if desired. 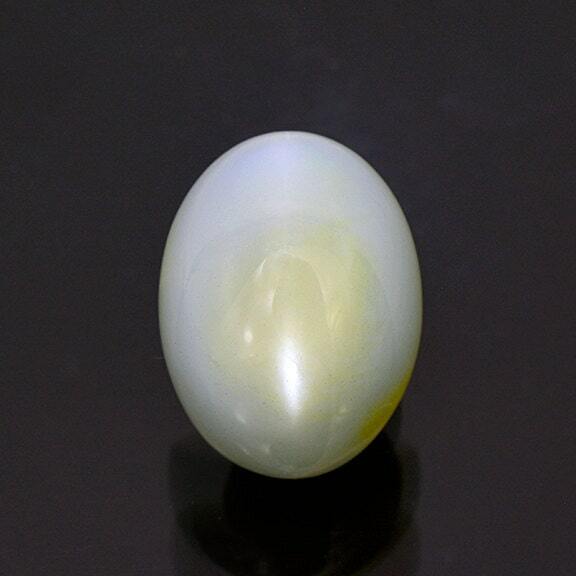 This is one of the most interesting and unique Moonstones we have ever had. Enjoy!